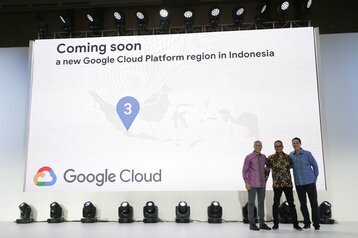 Google has confirmed that it will open a new Google Cloud region in Indonesia. This announcement was made to more than 2,500 attendees at Google Cloud Summit held in Jakarta last week. The new Google Cloud Platform (GCP) region will be launched with three zones, according to information flashed on a slide, and will be the company’s 8th region in the Asia Pacific region– after Mumbai, Singapore, Taiwan, Sydney and Tokyo, as well as the upcoming Osaka and Hong Kong. The new region is expected to give Google’s customers in Indonesia the ability to benefit from lower latency and higher performance for their cloud-based workloads and data. “By expanding to new regions, we deliver higher performance to customers. Our customers have been asking us to bring our technical innovations to the country and we are excited to be able to do so,” said Harshman, who also pointed to how the Indigo submarine cable will improve connectivity between Singapore, Indonesia and Australia when completed. The race is heating up to bring the top public cloud platforms to every country in Southeast Asia. With a population of more than 250 million and rapid digitization, Indonesia is proving attractive indeed. Google’s announcement comes in the wake of news in September that Amazon has plans to launch Amazon Web Services (AWS) in Indonesia. And the Chinese e-commerce giant Alibaba got a head start by launching Alibaba Cloud in the country earlier this year.